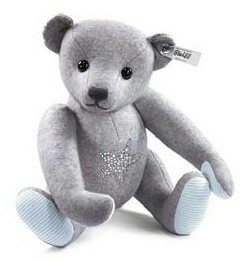 All the bears and items on this page are made out of the highest quality felt. 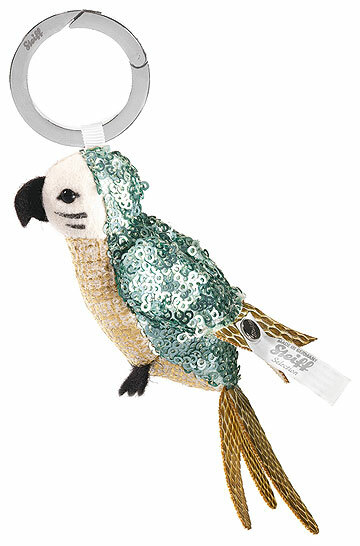 This Steiff Bird keyring will be made for 2013. He is 9 cm. / 3.6" tall. Made out of mint sequin material. 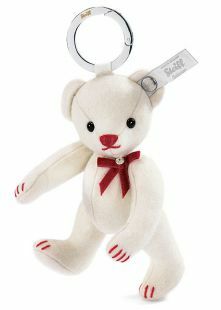 Limited to 2.000 pieces world wide. 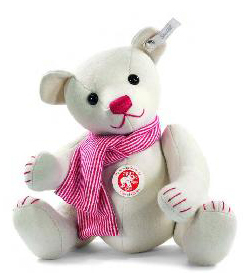 This bear is made in Germany in 2012. He is 10 cm. / 4" tall. Made out of high quality cotton. Made out of high quality felt. 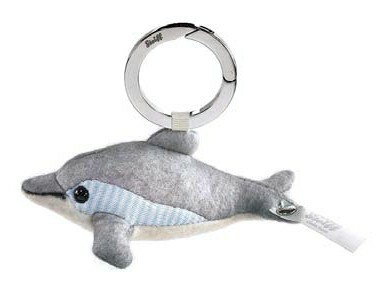 This dolphin keyring is made in Germany in 2012. Made out of high quality wool felt. 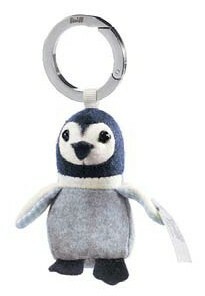 This penguin keyring is made in Germany in 2012. He is 7 cm. / 2.8" tall. 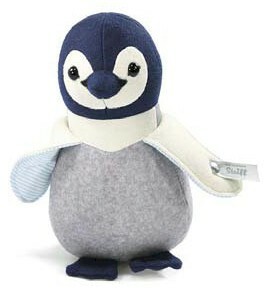 This penguin is made in Germany in 2012. He is 20 cm. / 8" tall. He is 32 cm. / 12.8" tall. He has a sea star of Swarovski Crystals on his belly. 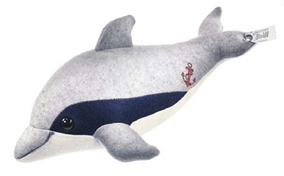 This dolphin is made in Germany in 2012. He is 30 cm. / 12" tall. 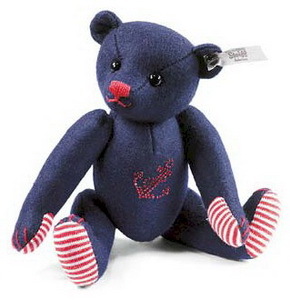 This bear is part of the Autumn collection of 2011. 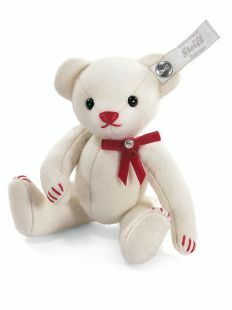 He is made out of the finest white wool felt. He is 25 cm. / 10" tall. His ear tag is white with grey and his button is silver coloured as all the selection pieces have. He is 13 cm. / 5.2" tall. He is wearing a Swarovski button on her bow. 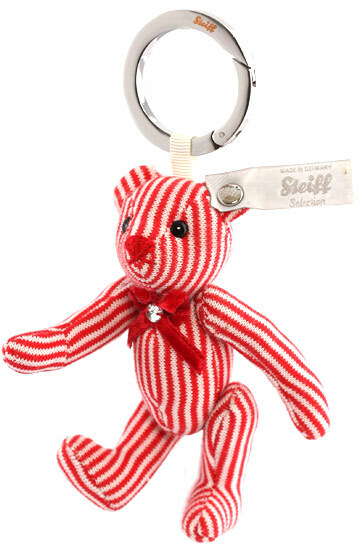 This keyring is part of the Candy Cane Autumn collection of 2011. 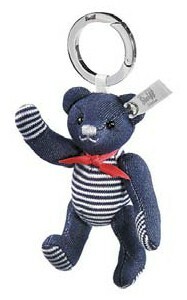 He is made out of the striped high quality cotton. He is fully jointed. He wears a red velvet bow with a rhinestone on top.